This region’s main characteristics are the diversity of soils and the large wine farms with low production costs. This fertile region, formerly known for supplying the internal market and colonies in Africa, produces quality white and red wines at an extremely competitive price. In Ribatejo people practice extensive agriculture: horticultural and fruit crops, rice, olive trees and vine fill the region’s wide plains. 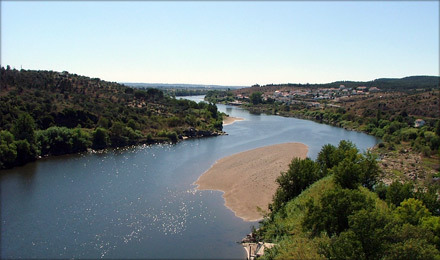 The river Tejo is omnipresent in the region’s landscape and is one of the elements responsible for the climate, the soil and, consequently, for the fertility of the region. The climate is Mediterranean, but the influence of the river makes the seasons mild. 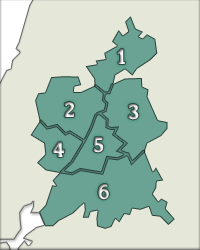 The Denomination of Origin of Ribatejo has six sub-regions (Almeirim, Cartaxo, Chamusca, Coruche, Santarém and Tomar). The soils vary according to their proximity to the sea. Marshlands are very fertile areas located by the river. Tejo’s floods tend to completely immerse the fields. On the right bank of river, beyond the nearest soils, one finds the moorland, of poorer limestone and clay soils located between mountains and plains. Here, the main plantations are olive trees and vines. From the left bank of the river Tejo to the southern regions closer to Alentejo one finds the heath, an area of less productive soils, where cork-oaks and vines are planted (since these cultures need little water). Although it is a very dry area with the highest temperatures in Ribatejo, here the grapes can ripen better than in other areas of the region. Ribatejo has been famous for producing large quantities of wine that would supply restaurants and taverns in Lisbon. Its large agricultural holdings would seek to obtain the maximum profit from the vines and produce low quality wine to be sold in bulk. In the last 15 years, the region underwent significant changes, not only in the fields but also in the wineries. Many vines were transferred from the fields near the sea to the ones in the interior. This lowered production, but increased quality. The region’s legislation is not restricting, allowing the introduction of Portuguese and foreign grape varieties. Red DOC wines from Ribatejo are produced not only with the region’s traditional grape varieties (Trincadeira or Castelão), but also with other noble ones, such as Touriga Nacional, Cabernet Sauvignon or Merlot. The white grape variety most planted in the region is Fernão Pires, which is essential for the production of the region’s white wines. It is sometimes blended with other typical grape varieties, such as Arinto, Tália, Trincadeira das Pratas, Vital or the international Chardonnay. In the production of Ribatejo regional wine one may use grape varieties not included in the Denomination of Origin. This way, farmers may perform experiments on the soil, climate and grape varieties to produce original wines. As a matter of fact, from the 22300 hectares of vine in Ribatejo, only 1850 are certified for the production of DOC wine. Independently from being Regional or DOC, Ribatejo’s terroir is always noticed: very fruity whites with topical or floral aromas, and young, aromatic reds with soft tannins. Besides restructuring the vines, producers have also modified their wineries. The large casks and cement tanks that produced millions of litres of wine were replaced with stainless steel tanks, refrigerating systems and oak casks for ageing the wine. Moscatel de Setúbal has always been a very famous wine. One of its greatest appreciators was the French king Louis XIV. Gil Vicente, in his book Pranto de Maria Parda, makes reference to the wines produced in Ribatejo, namely the one from Abrantes. In the book Viagens na Minha Terra, by Almeida Garrett, one talks about Dâmaso Xavier dos Santos, a big farmer from Cartaxo who dedicated himself to the Liberal cause, ruining his entire wealth.